This statement confuses some people who believe that chiropractic is a back pain profession. In reality chiropractic deals with correcting subluxations. Subluxations are areas of interference to the nervous system caused by pressure or irritation from spinal bones. Chiropractors correct subluxations. One of the most common causes of a subluxation in an infant is the birth process. Chiropractors have been warning the public of the danger to newborns from the common birth processes used today. Birth is a natural phenomenon that should not be viewed or treated as a medical condition. However, in an attempt to “manage” the birth process, many problems are created. The most prevalent danger chiropractors have been warning about when it comes to the birth process is Traumatic Birth Syndrome resulting in the creation of subluxations. Numerous articles and experts have warned of the damage that occurs to the nervous system in the neck of newborns during the trauma involved in the common birth process. This damage ranges from mild subluxations in the upper neck to more serious subluxations involving spinal cord damage, neural hemorrhage and central nervous system problems. Many authorities suggest that the position of the mother coupled with the pulling from the delivering physician has a lot to do with the creation of these subluxation related problems. When the delivering mother is lying on her back she is not only working partially against gravity but she has reduced the pelvic opening size. These two factors then require the attending physician to pull harder on the head of the child. This increased pulling and twisting during the birth process, coupled with a decrease in the pelvic opening and a non alignment with gravity often set the stage for birth trauma, subluxation and the resulting problems. Health consequences to the newborn from subluxations caused from birth trauma range from immediate and severe to hidden problems that may take years to surface. Some of the more immediate and tragic results that have been documented are spinal cord and brain stem injuries, brain bleeding and swelling, neurological deficits, breathing problems and even sudden infant death syndrome. The long-term consequences are as varied as the nerve system itself. Some of the more commonly mentioned problems that have been linked to traumatic birth are learning disabilities, headaches, visual and hearing problems, certain palsies, and a number of immune functional problems. Many experts are now suggesting that birth be handled as a normal and natural process. One of their suggestions is for the birthing position of choice to be an upright position of either sitting or squatting, using gravity to assist the birth process. This would result in less force being used for delivery and reduce the trauma from birth and the subluxation related effects. Chiropractors have been stressing for years the importance of having newborns checked for vertebral subluxations. Checking the spine of an infant is painless and easy. The importance of a developing baby being free of nerve interference from subluxation cannot be understated. Even infants that appear healthy may have subluxations due to traumatic birth syndrome. All babies deserve the best chance at a healthy happy life. Babies deserve Chiropractic. Science is now starting to document something chiropractors have been observing and warning about for years. For decades chiropractors have been warning the public of the danger to newborns from the currently common birth processes used today. Birth is a natural phenomenon that should not be viewed or treated as a medical condition. However, in an attempt to “manage” the birth process, many problems are created. The most prevalent danger chiropractors have been warning about when it comes to the birth process is the creation of subluxations. Numerous articles and symposiums have relayed scientific documentation of damage that occurs to the nervous system in the neck of newborns during the common birth process. This damage ranges from mild subluxations in the upper neck to more serious subluxations involving spinal cord damage and central nervous system problems. Health consequences to the newborn from birth trauma range from immediate and severe to hidden problems that may take years to surface. Some of the more immediate and tragic results that have been documented are spinal cord and brain stem injuries, brain bleeding and swelling, neurological deficits, breathing problems and even sudden infant death syndrome. The long-term consequences are as varied as the nerve system itself. Some of the more commonly mentioned problems that have been linked to traumatic birth are learning disabilities, headaches, visual and hearing problems, certain palsies, and a host of immune functional problems. 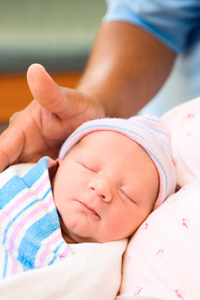 Experts are suggesting that birth be handled as a normal and natural process. Many experts suggest the birthing position of choice is in an upright position of either sitting or squatting. The less force used, if any, the better. Chiropractors have been stressing for years the importance of having a newborn checked for vertebral subluxations. The importance of a developing child being free from nerve interference from subluxation can not be understated. Questions? Concerns? 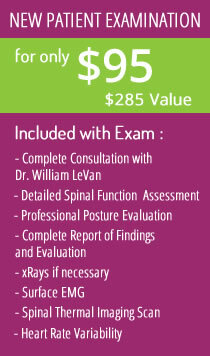 Give our Harrisburg chiropractic office a call and put your mind at ease.